The University has named Duane Dimos, renowned materials scientist and executive at Sandia National Laboratories in Albuquerque, N.M., vice president for research. He begins April 1. During his 25 years at Sandia, Dr. Dimos served in a wide variety of leadership and management positions, including as acting vice president of the science and technology division. An expert in materials science and engineering, Dimos has published more than 140 technical papers, edited four proceedings volumes, and holds 11 patents. He is a fellow of the Materials Research Society, the American Association for the Advancement of Science, and the American Ceramic Society. At Sandia, Dimos has been actively involved in nanotechnologies, leading programs in materials aging and reliability and developing new energy programs in materials and in a wide range of national security research and development efforts. 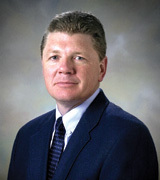 He played key roles in partnerships with the University of Arizona, the University of New Mexico, and The University of Texas System.